Being held since 2003 Upper Murray Challenge race is one of the most competitive and spectacular events in Australia. Nested in the foothills of Mt Kosciousko race course offers stunning mountain views and tough challenging course. The race had been cancelled for two years and now Adventure Junkie with a lot of help of local community are reincarnating it into World class event how it used to be. The event features a 38 km mountain bike ride, 26km kayak paddle and a 25km run set against the backdrop of a gorgeous spring alpine setting. Competitors will tackle 38km of hilly forest trails, 4wd trails and open paddocks. After the ride, racers will face a 26 km kayak paddle leg through fast moving currents of Swampy Plains River with rapids up to grade 1 plus , to its confluence with the Murray River and continue for another 15 km . The last section provides stunning views of the Murray River Flats and the Main Range during a 25km run with serious off-road climb up to the top of Mt. Eliot with the finish in the center of Corryong town. Located in the picturesque foothills of the NSW Snowy Mountains and the birthplace of the mighty Murray River, the Upper Murray has something for everyone. The 2017 edition will include some changes and improvements based on participants feedback from previous years. «We are going to maintain all great traditions of the event and add some fresh air into it», said Maria Plyashechko, event coordinator. «I am jealous I would not be able to race it myself, it is such an incredible race, can not wait it to bring it on», said Serge Kurov, new race director. The race is supported by local Councils and number of businesses. What: Classic multisport race, the course is fully marked, no navigation is required. MTB 38 km, paddle 26 km, run 25 km. Who: open for individuals, relay teams, AR DUO teams (team of two, when both participants stay together for the entire course and kayaking equipment is supplied). 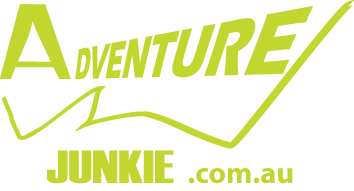 This is a challenging event and previous adventure racing/ multisport experience is required for Solo participants. Relay category is less demanding and beginners are welcome to take part.